In a village in India, a forsaken man is about to kill himself in quiet despair. A million miles away, Katya Misra is celebrating a perfect evening in her fine, academic life in Seattle . . . until she is informed that her teenaged son Kabir has run away to India in search of a father he has never met. Contemptuous of her homeland and determined to bring Kabir back where he belongs, Katya must follow her son into the home of a suicidal farmer, in a village where, every eight hours, a man kills himself. Here, as Kabir's father inspires his son with his selfless social work, Katya finds an ally in the farmer's wife Gayatribai, who saves Kabir's life by damaging her own, and in return asks for Katya's help in keeping her husband alive in the suicide epidemic that has gripped this treacherously changing nation. Whipped up in a world of violent protest rallies, mass weddings, inglorious suicides, and a love that demands to be rekindled, Katya must learn whose life can be saved and whose she should just let go. 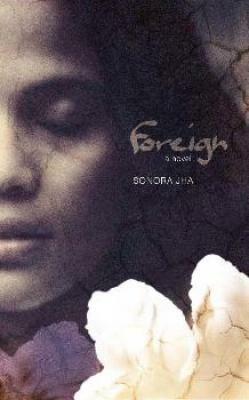 "Sonora Jha’s riveting and ambitious debut novel Foreign dazzles with its sweeping international perspective, but it’s the novel’s heartbreaking and intimate core that is its greatest achievement." "A heartrending, heartwarming tale of maternal love battling the allure and despair of the suicide fields. A sparkling debut."